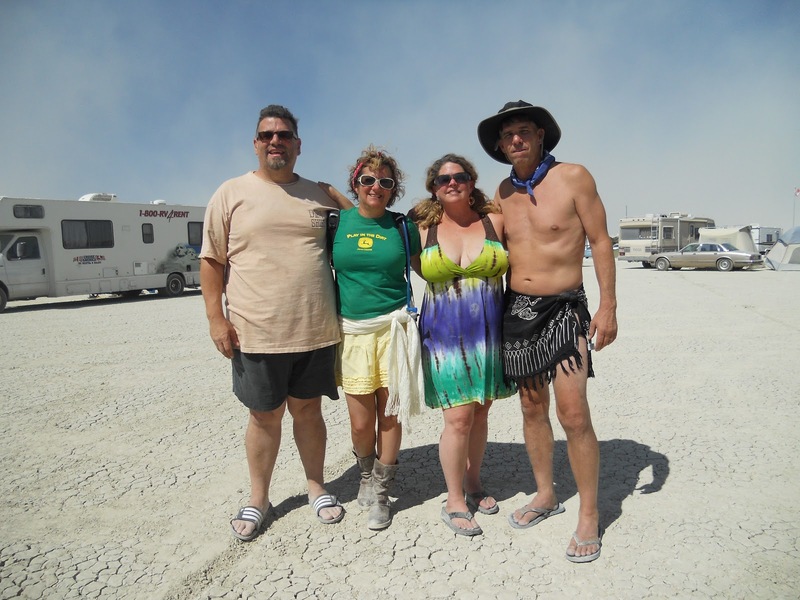 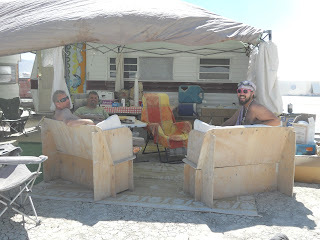 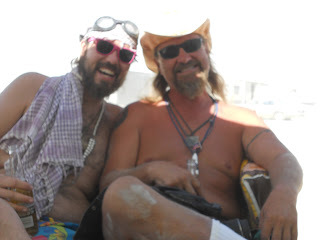 We caravaned onto the playa with Roy and set up camp. Shelter, outdoor kitchen, seating and ice the coolers. 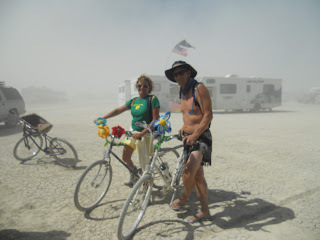 Dan is our first visitor! R & D wanted to make sure Burning Man was as fun as they remember from last year!